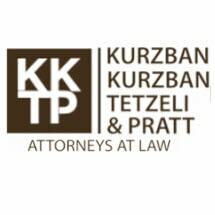 Miami-based Kurzban, Kurzban, Weinger & Tetzeli, P.A. is a top Florida law firm with an international reputation for aggressive advocacy and exceptional civil litigation successes. Our high-profile practice includes legal advice and representation for issues related to Immigration Law, Personal Injury, Business Law, and Commercial Litigation. Our attorneys are consistently listed in the Best Lawyers in America, the International Who's Who of Business Lawyers, the Who's Who of the World, the Who's Who of America, and the South Florida Legal Guide as South Florida's most prominent attorneys. We have helped change Florida law in many ways, such as making it possible to bring personal injury suits in cases without physical impact between automobiles, establishing a precedence of overturning cases if a judge communicates too much with a jury, and much, much more. (For more precedents set by our firm, please refer to our appellate decisions.) We are very proud of our past successes, some of which set records and are among the highest jury verdicts in the history of the United States. For detail and information about some of the firm's past cases, visit our articles, verdicts and settlements, or our KKWT in the News. If you need assistance in Immigration, Personal Injury, or Business Law and Commercial Litigation, don't delay. Contact our firm and find out how we can help. Our Immigration practice spans the whole world, including Haiti, Panama, Cuba, Morocco, France, South America, Central America, Russia, Africa, and beyond. In Personal Injury and Business Law, we will go anywhere in Southern Florida for an especially large case: as far north as Orlando and as far west as Tampa. For smaller cases, we work in Miami, Fort Lauderdale, West Palm Beach, The Florida Keys, Dade County, Broward County, Palm Beach County, and Monroe County.